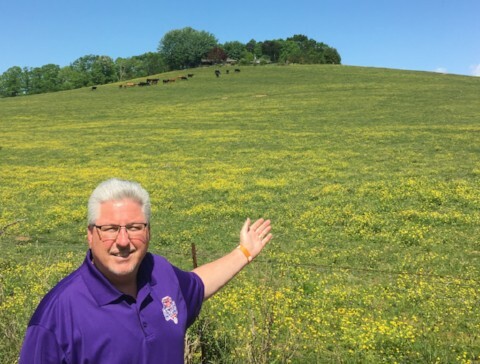 We visited this Revolutionary War Battlefield as we embarked on our first road trip of the ATB Tour. 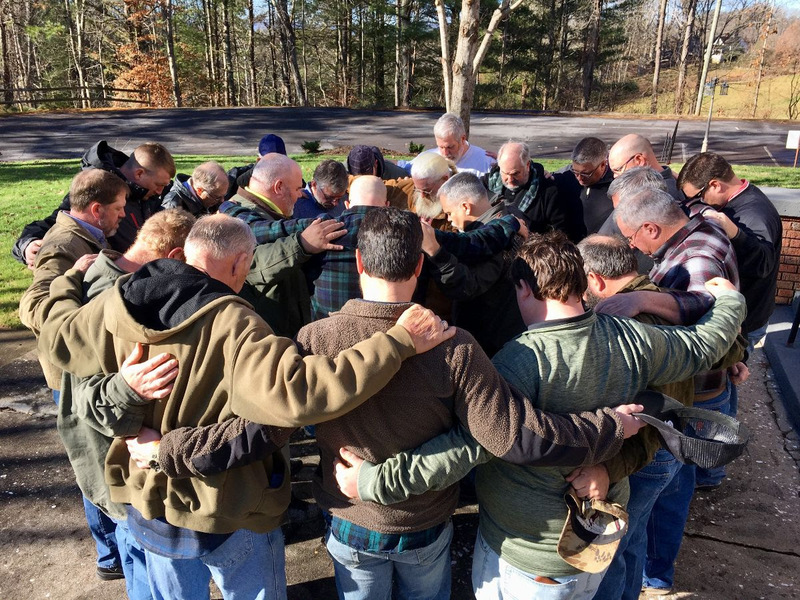 We reflected on the crucial role of the Overmountain Men in 1780 and the parallel of us “locking arms” in The Battle 4 Men’s Souls in 2019! 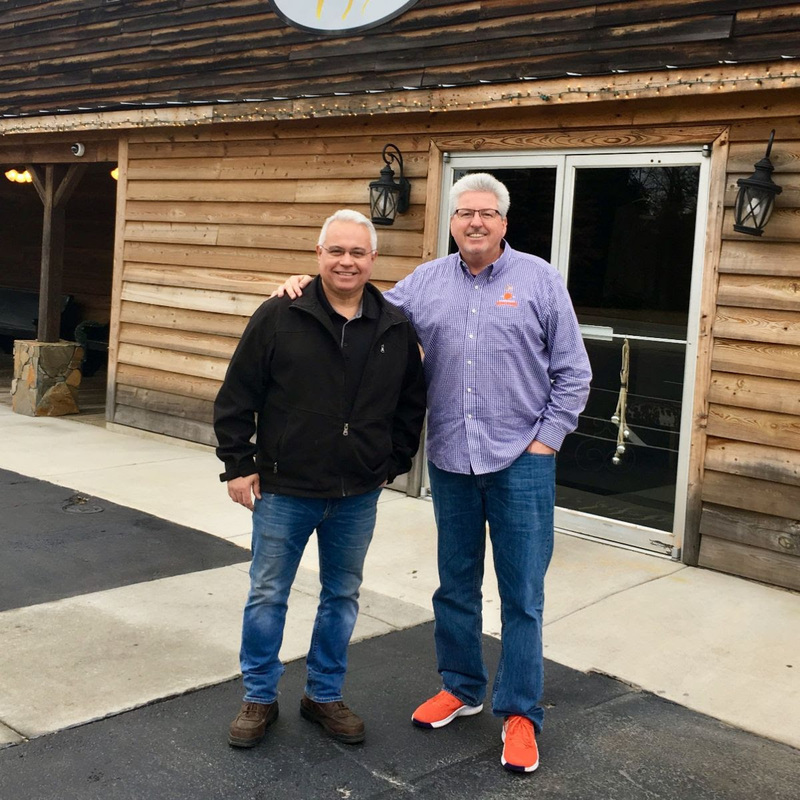 Our first stop on the ATB Tour was to visit Chris Rondeau in Simpsonville, SC. “Rambo” had a very challenging year in 2018, including the passing of both parents within a 6 months span. 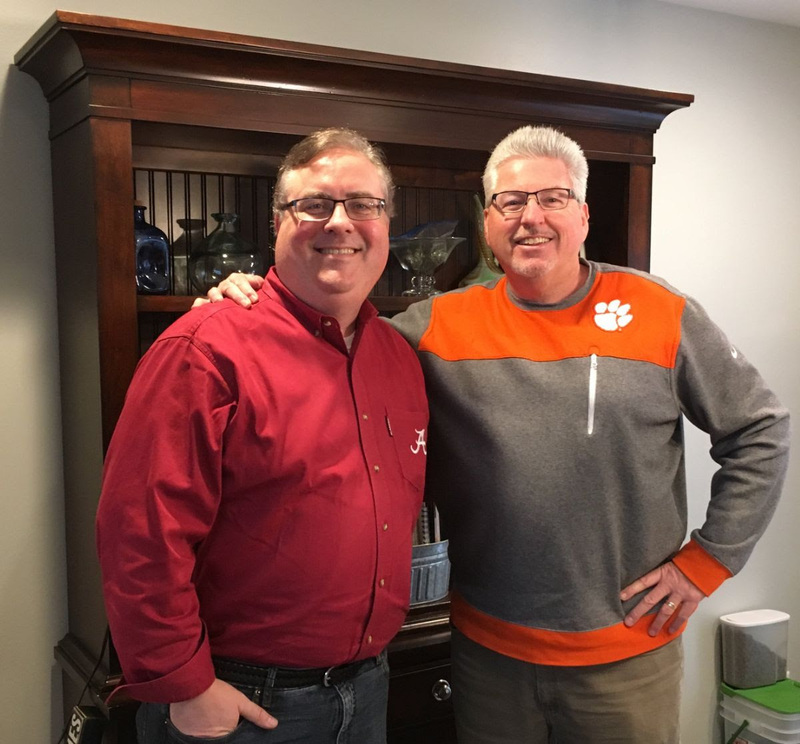 After a ministry debriefing, we recorded his thoughts on a TIW podcast where he provided valuable insights from the perspective of a “Hurting Man.” Chris is planning on going full-time with Team MIM this year, for which we are very excited. 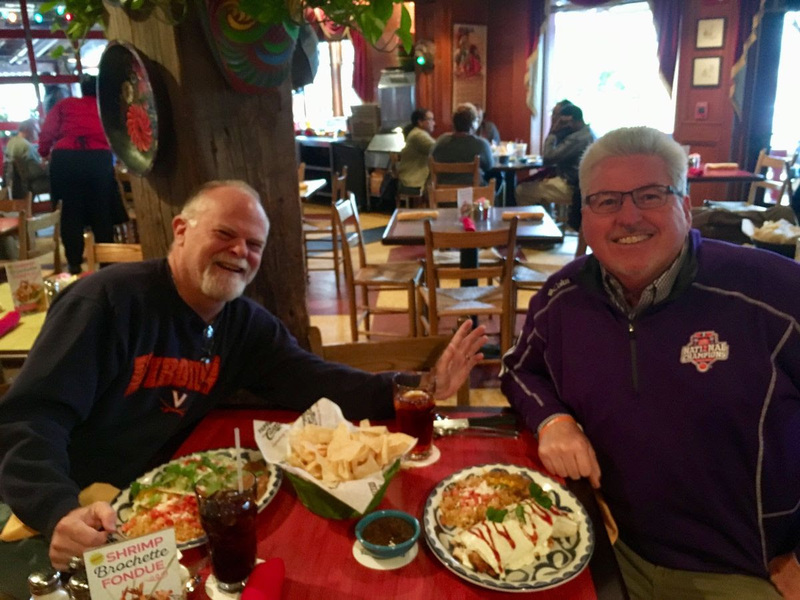 It was great to reconnect with Byron Harvey, who is a new member of the pastoral staff at Grace Community Church in Marietta, GA. We enjoyed a BLA at Pappasito’s before our ministry consultation and a Prayer Walk on their church campus. 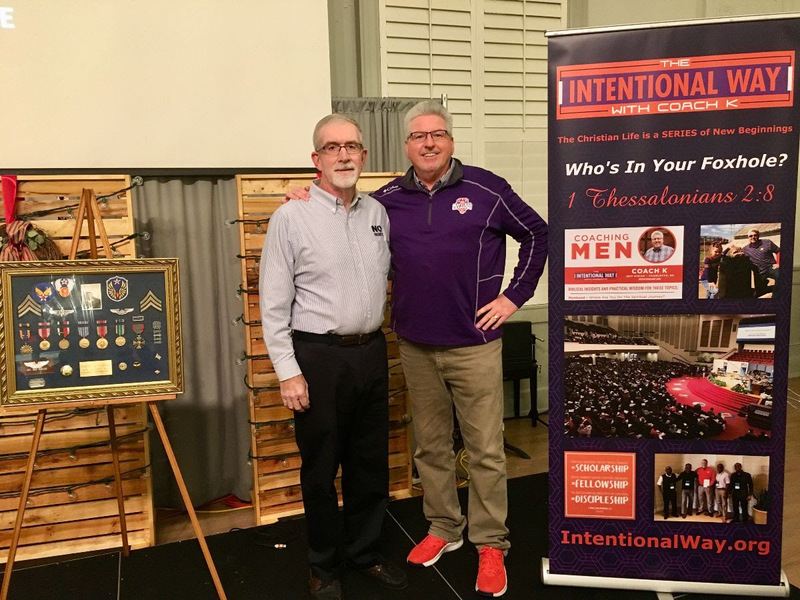 We were honored to speak at the MMN Quarterly Dinner on January 3 in Chattanooga. This was a prelude to the ISI Conference on March 2. Bernie Ritterbush and Lance Irwin are Kingdom Allies of TIW. We shared from Deuteronomy 20:1-9. Chris Ackerson has been a Kingdom Ally for several years. 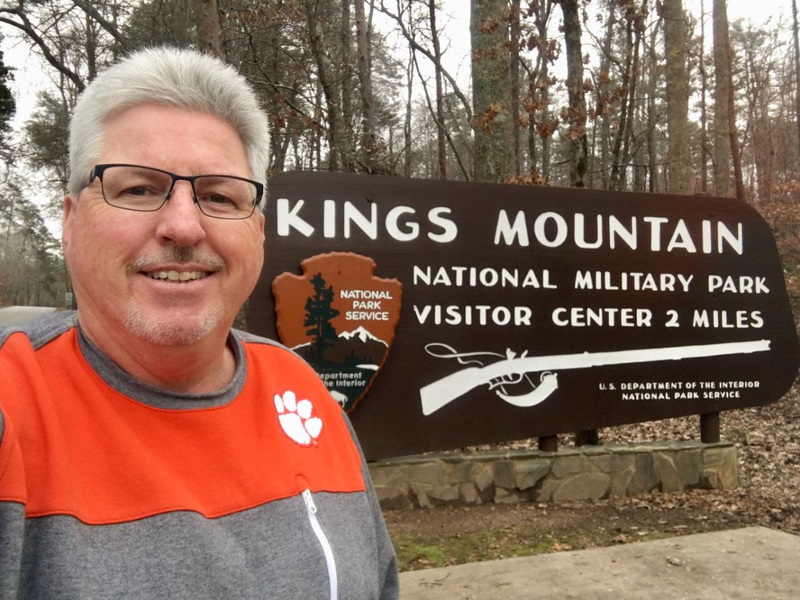 Previously on staff with MMN, he is now serving with Every Man a Warrior, based out of Raleigh, NC. 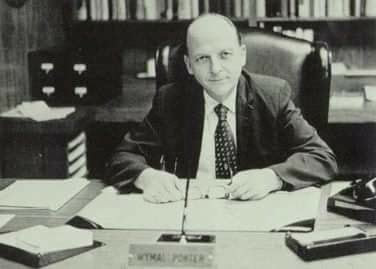 We interviewed him for our TIW Podcast as part of our 1-1 time together at his home in Signal Mountain, TN. We also had some fun discussions on college football. Chris Van Brocklin joined us in Chattanooga for the ATB Dinner. We have worked together on various ministry initiatives over the last decade. He plays a key role with the No Regrets Conference in Milwaukee and around the country. Lonnie Berger has been on staff with The Navigators for nearly 4 decades. He is also the Founder/Director of Every Man a Warrior. 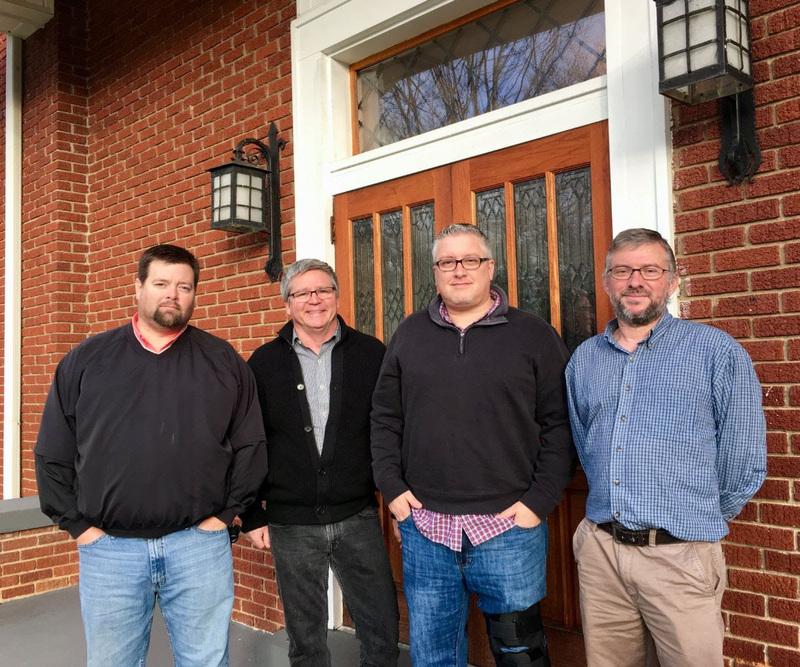 In 2017, a God-ordained partnership began with Trans World Radio, Every Man a Warrior and The Navigators to more effectively take the ministry of EMW around the world. It was enlightening to have some 1-1 time with Lonnie in TN. On our return trip from Chattanooga, we led a Men’s Rally at Flat Creek Baptist in Weaverville, NC. Scott Wheeler has been a dedicated leader for several years, and we enjoyed our first visit to their church. Our Prayer Huddle was a highlight. 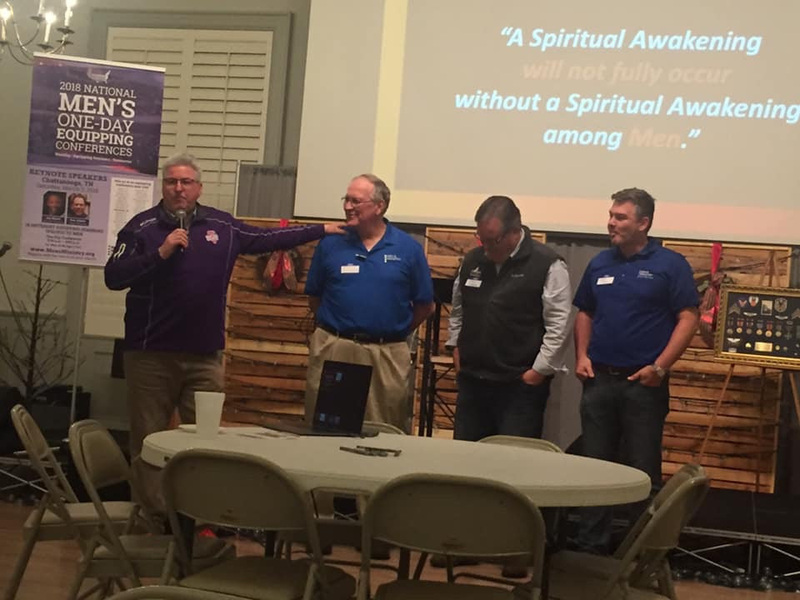 Chris Ross brought a delegation from First Baptist in Belmont to our Men’s Rally in Weaverville. 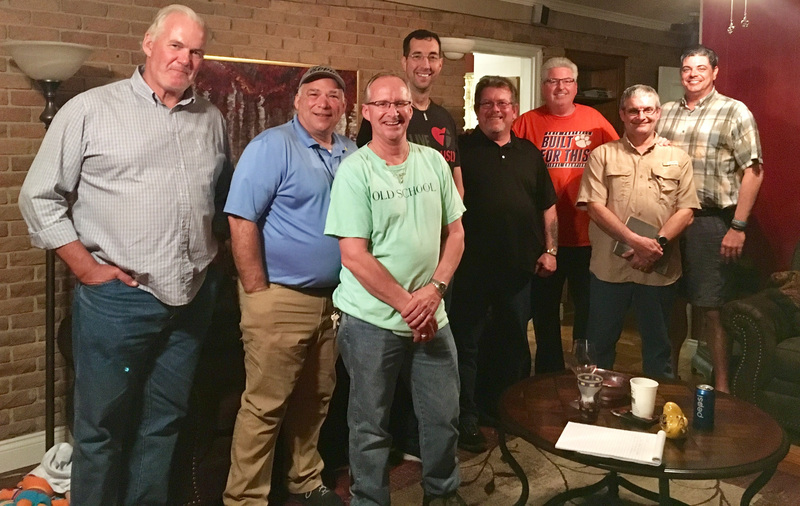 The 2-hour drive time afforded them fellowship opportunities as well as a debriefing on the insights they gained from the TIW Rally. We are scheduled for July 27 at their church. What a blessing to have Bill Bailey sharing his personal testimony as a “Hurting Man” during our Men’s Rally in Weaverville. Afterwards, we enjoyed a BLA (Barnabas Luncheon Appt.) to get caught up 1-1 with this Kingdom Ally. 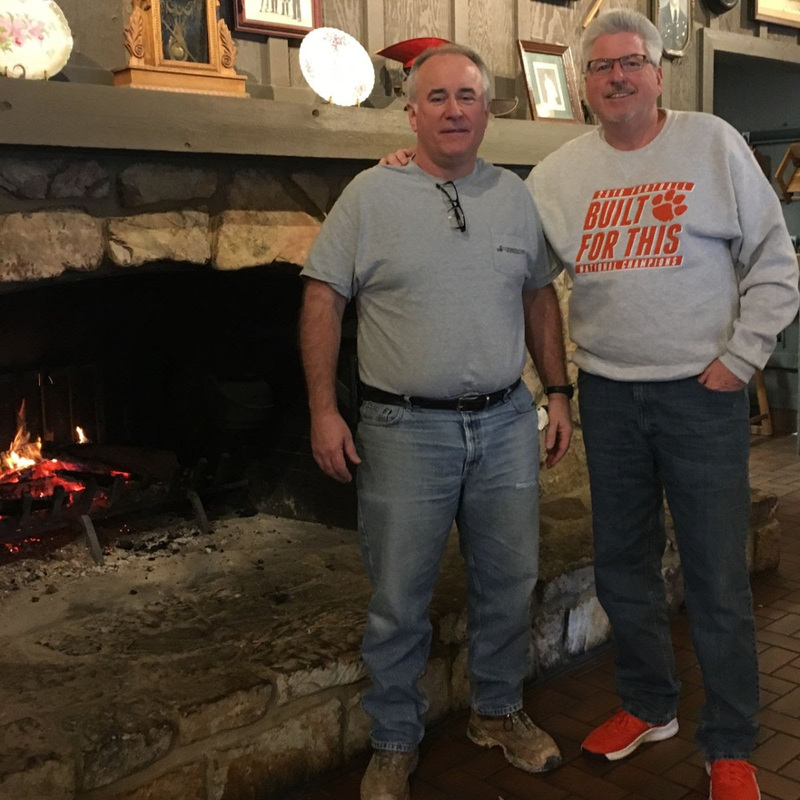 Bill has endured physical and emotional suffering in the past several years, but still exemplifies a strong faith in God. 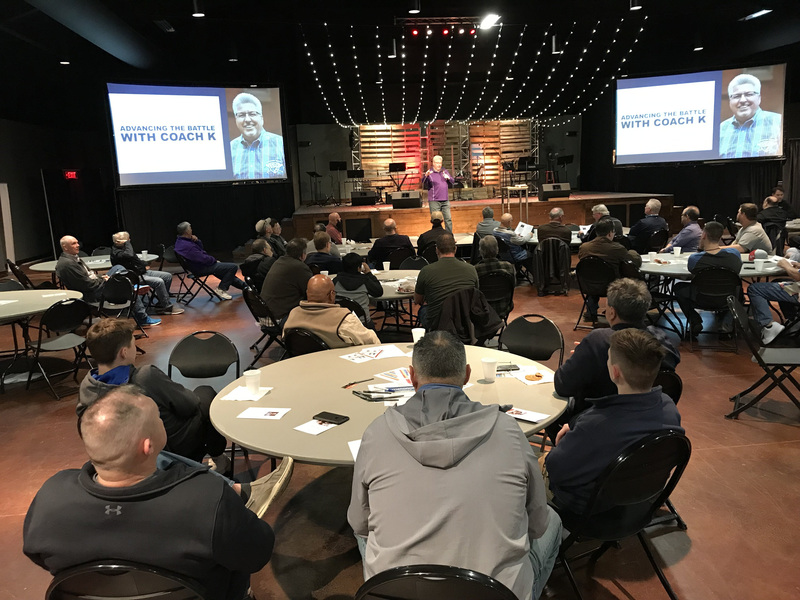 Joel Baker is the “Point Man” for Ministry 2 Men at Gateway Church. We have been mentoring him for several years. We met for a BLA to help plan out his first quarter of 2019, and beyond. I really appreciate his humble and teachable spirit. I look forward to seeing how God will continue to use him greatly. 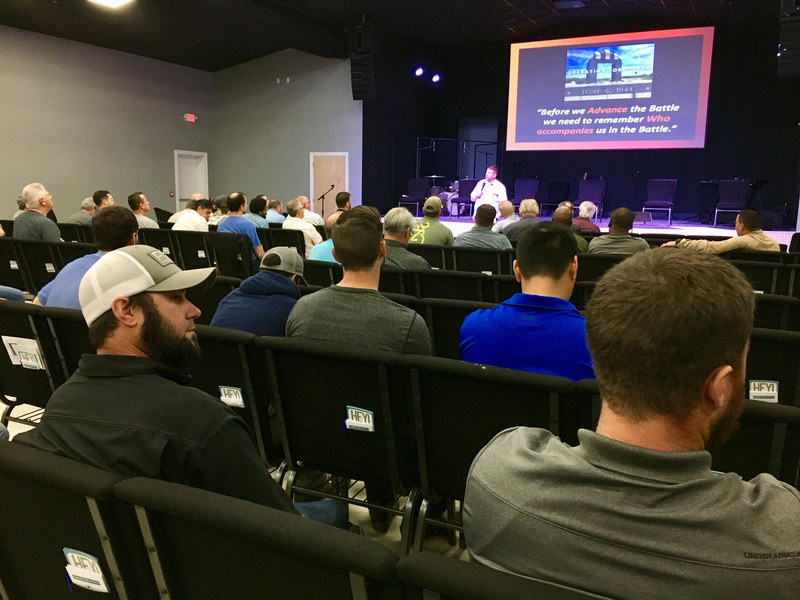 Billy Smith is a Men’s Discipleship Leader in Hartsville, SC. 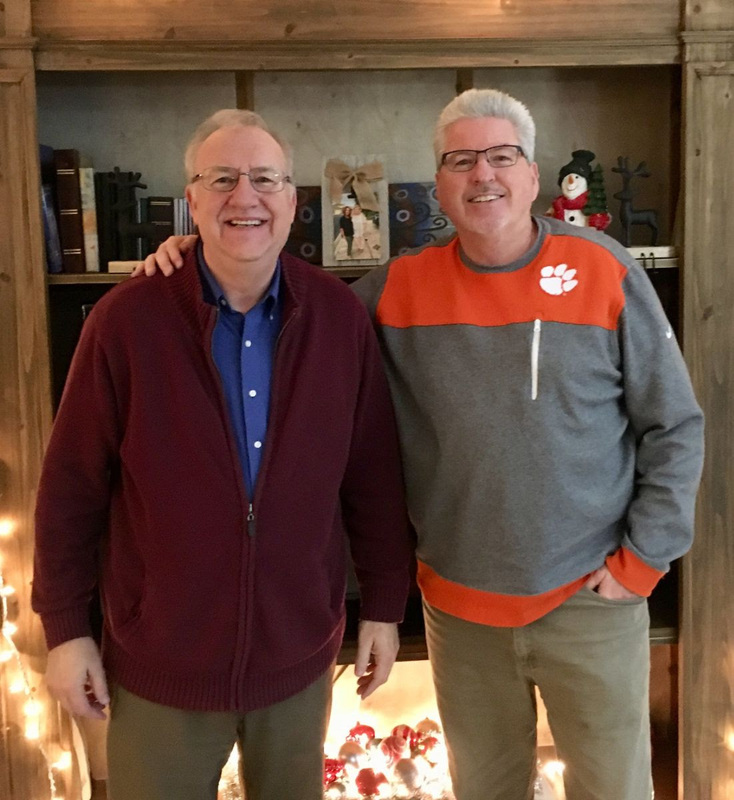 It was rewarding to invest some 1-1 time with him during a trip to the Sandhills region. We also received input on a TIW Men’s Rally we were planning in the region. The food was tasty and we were able to “taste and see” that The Lord is good! January 21 was the 19th Anniversary of my father’s homegoing. 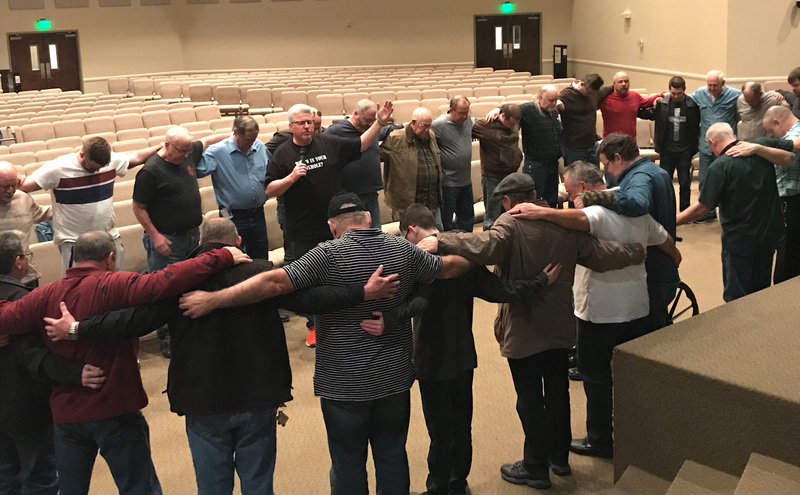 We invested time that evening with the Men of Harvest as part of their 40 Days of Prayer focus. It was good to be back on campus at HCC. We served 17 years as Men’s Pastor. 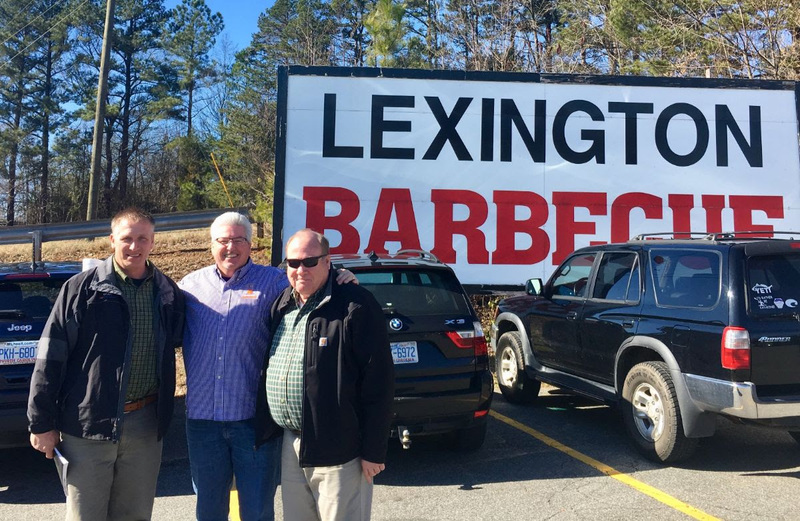 Mike Travis joined me on January 26 in traveling to Lexington, NC to meet with 2 pastors about our upcoming Men’s Conference in August. We look forward to our return to Open Door Baptist Church in the summer! Our most requested topic to share in 2018 continues to be a divinely anointed presentation in the winter months of 2019. 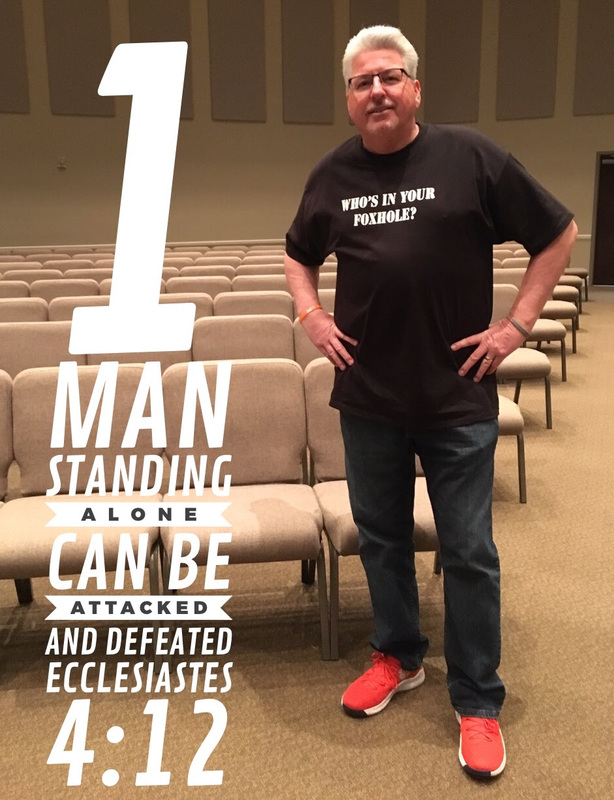 One church recently made a themed-shirt with the important question I ask men around the country. Ecclesiastes 4:9-12 is a crucial passage of Scripture for men to apply to their lives. We will continue to trumpet this truth across America, desiring men to “do life” together with others. Our “Advancing The Battle” Tour took us to Louisiana for anointed meetings in 8 cities during 4 days. It was rewarding to observe God at work. Steve Miller was instrumental in scheduling us from New Orleans to Baton Rouge. 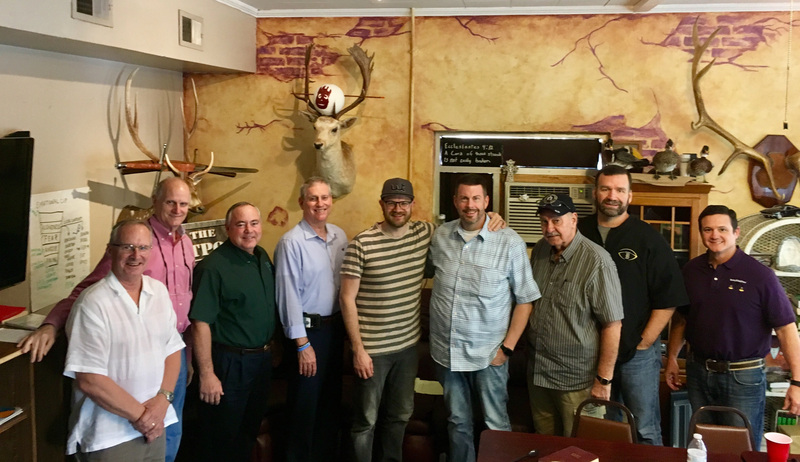 We have a long history with the Gulf South Men, having spoken for them in ISI Conferences and Men’s Retreats. 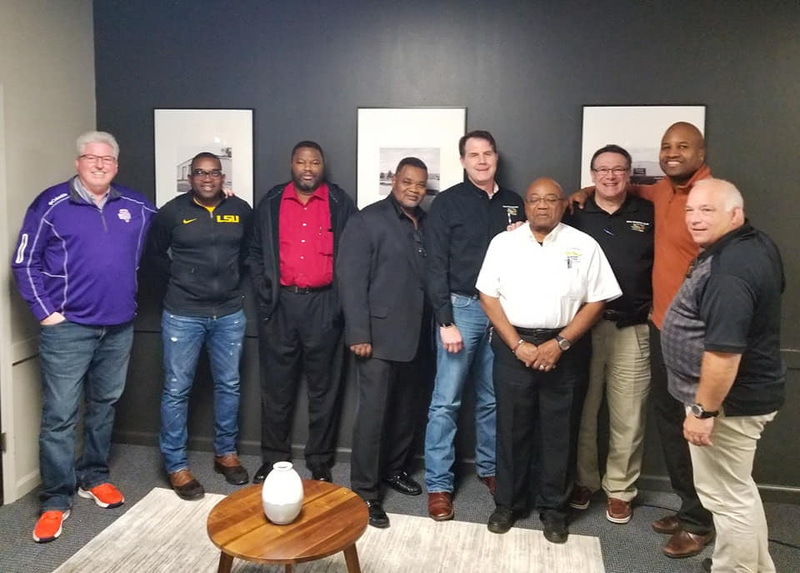 It was great to reconnect with Mark Lubbock, Elmo Winters, Bax Kegans, Carter Featherstone and others, as well as introductions to several new churches, pastors and leaders in the region. 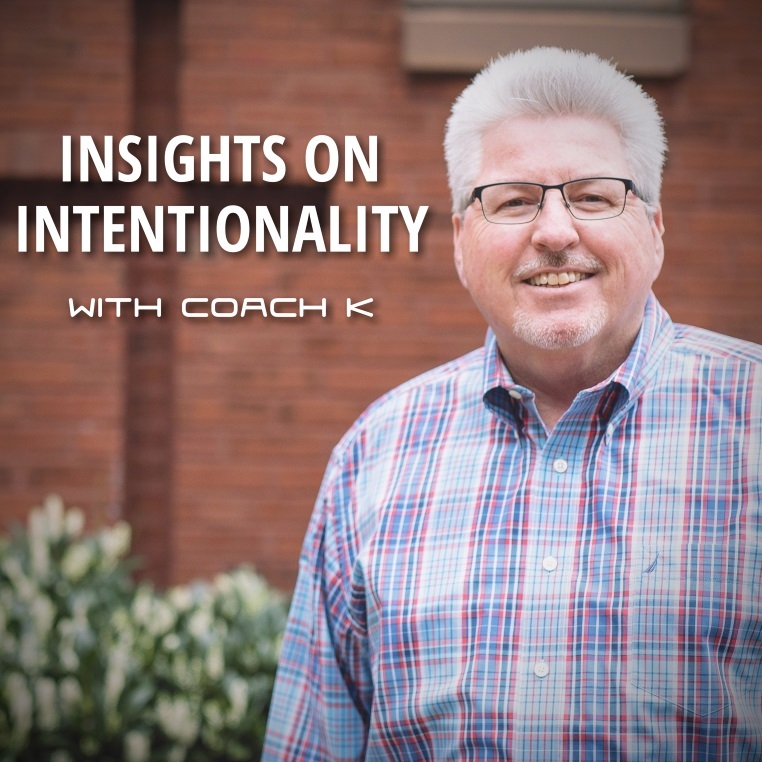 We’ve published the first episodes of our podcast, Insights on Intentionality. Subscribe via your favorite podcast app to get new episodes as they are published! We are very thankful for our current ministry partners. 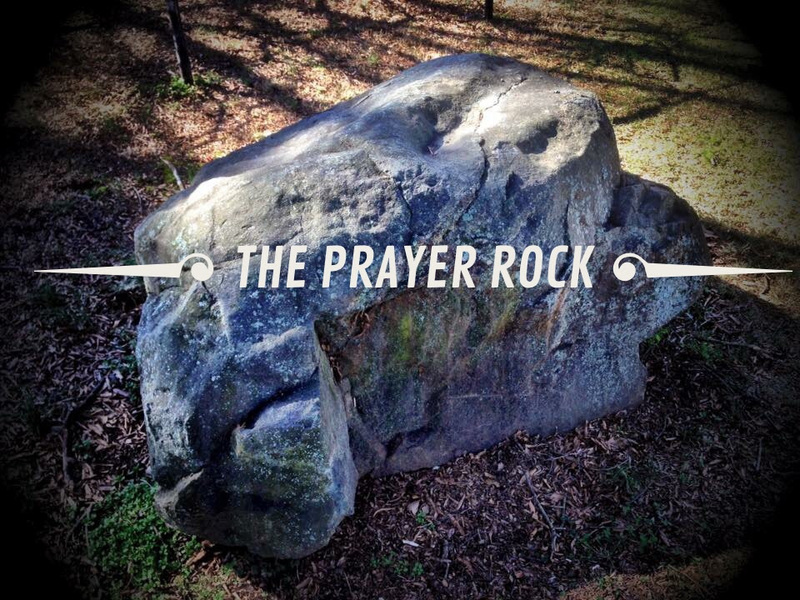 We are praying for additional partners that will consider joining our team. 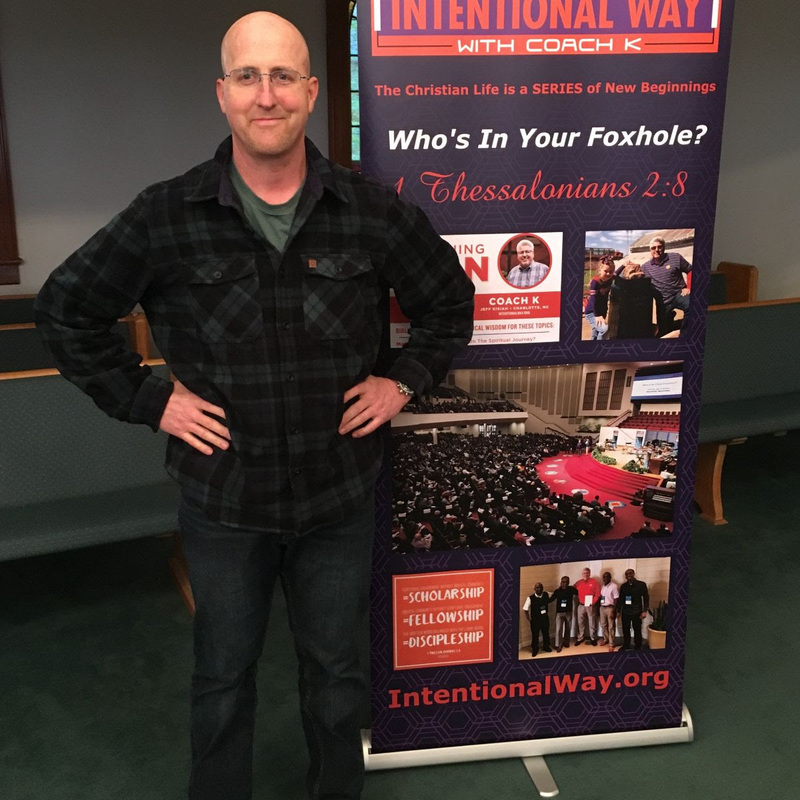 Visit our website at IntentionalWay.org and click on the “Donate” button to participate. 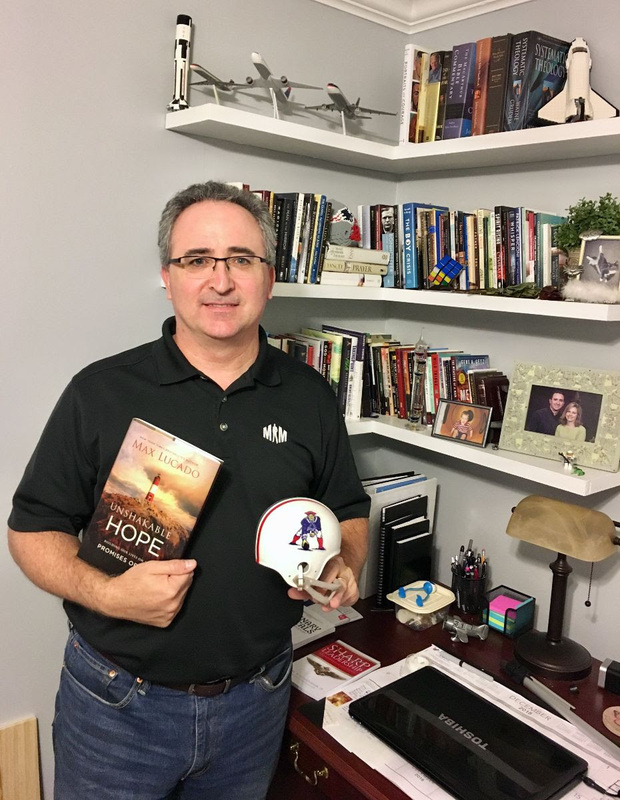 Help us “Advance The Battle” in 2019! 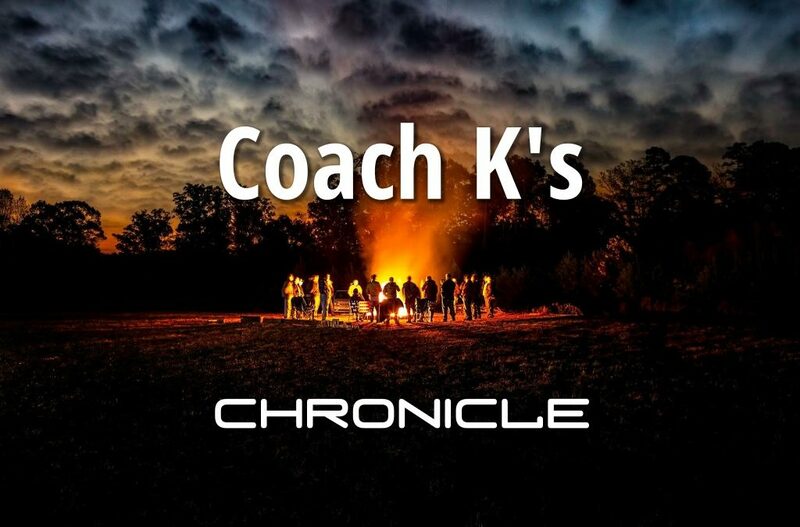 Join Coach K's mailing list to receive to receive this newsletter as soon as it is available.